SBB Solutions Review 2019: Is SBB Solutions a Good Hosting? SBB Solutions offers Serbian-based SSD hosting. There’s a good uptime guarantee and the features are solid, but customer service is limited. Serbian-based SBB Solutions (also known as EUnet) uses multiple Tier III data centers in London, Belgrade, Sarajevo, and Ljubljana. The website is provided in both English and Serbian. SBB Solutions has data centers located in Belgrade, London, Sarajevo, and Ljubljana. All of the centers offer an industry average 99.9% uptime Service Level Agreement, which is backed by compensation in the event of extra downtime. If you’re looking for shared hosting, you don’t have a huge number of options. In fact, there are three plans, all of which offer cPanel as the control panel and SSD storage for faster disk read/write times. The plans come with Softaculous one-click installer for a premium offering of 400 programs, plus the hosting is compatible with the usual CMS programs e.g., WordPress and Joomla! If you need support for PHP, versions 5 through 7 are included, as well as all of the usual database features such as phpMyAdmin, MySQL, and FTP. There are also Cron jobs, which means you can schedule repetitive tasks easily. The prices are in line with similar companies both locally and abroad. You can purchase annual or monthly terms and there is a decent discount for purchasing one year upfront. In terms of add-ons, if you’re a Serbian resident, you’ll need to pay for VAT on top of the advertised price, plus you need to purchase a domain name. SSL certificates, however, are included. Customer service hours depend on what support you need. For instance, sales and administration are available from 9:00 AM to 5:00 PM on weekdays, while support is open from 8:00 AM to 6:00 PM on weekdays and from 10:00 AM to 3:00 PM on Saturdays. You can email, call, or hop on live chat with the team. My slight reservation is that when I tried to speak to support on live chat during regular business hours, I was unable to, and my message was automatically sent as an email. On its own, that would be fine, but I didn’t receive a response despite waiting for a couple of days. SBB Solutions may only offer a small selection of shared hosting plans, but they include a comprehensive level of features at a good price. What’s more, if you need to scale, you can easily upgrade to one of the VPS or server rental packages. Buy feature-packed hosting at SBB Solutions! 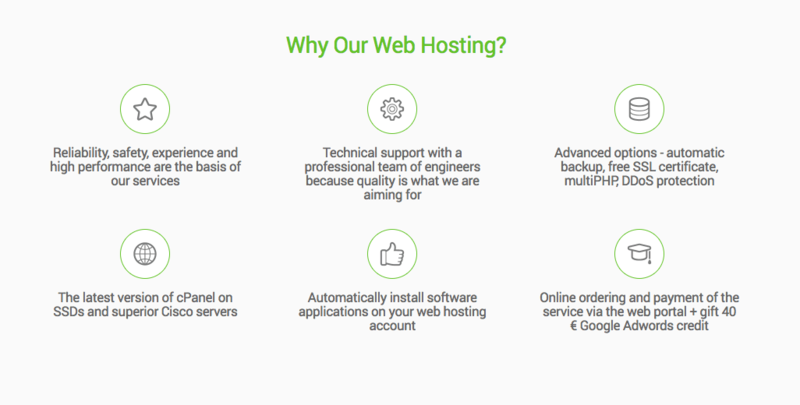 Wondering how SBB Solutions stacks up against other Web Hosting companies? Enter any other Web Hosting company and we will give you a side-by-side comparison.